Blossom, Buttercup, Daffodil & Dandelion, shepherd crosses from the Flower Litter. 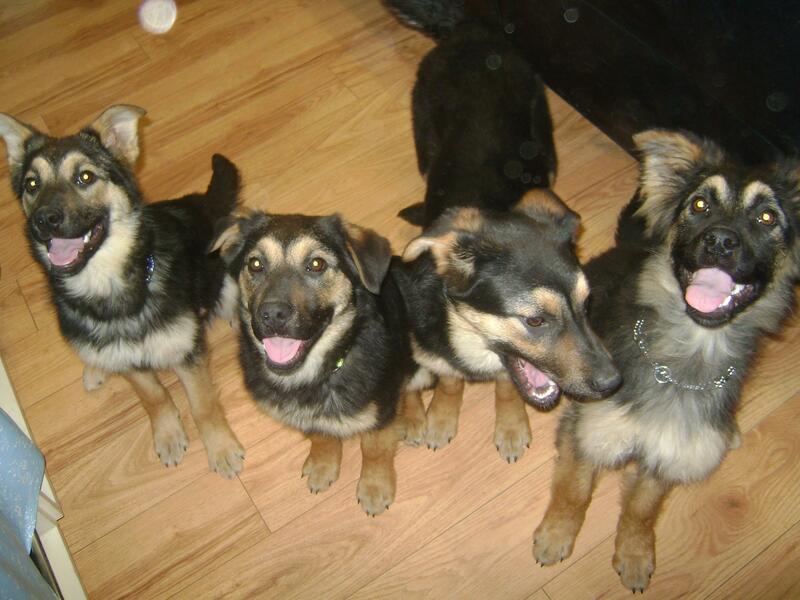 YARN’s Flower Litter… Five lovely teenage Shepherd Crosses (can’t get all in a photo at once!). The girls finished their isolation and are now protected by their first Parvo vaccinations. They have been at YARN Nursery for the past couple weeks learning how to live inside a house, which they are lovin’… They came from an outdoor life, and are still a bit people shy, but are young enough that they are quickly overcoming that. They all get along very well with other dogs. I have not seen them with cats, but they are young enough that they would learn whatever they are taught – with proper introductions. If you were interested in adopting one of our Flowers, you can submit an adoption application.